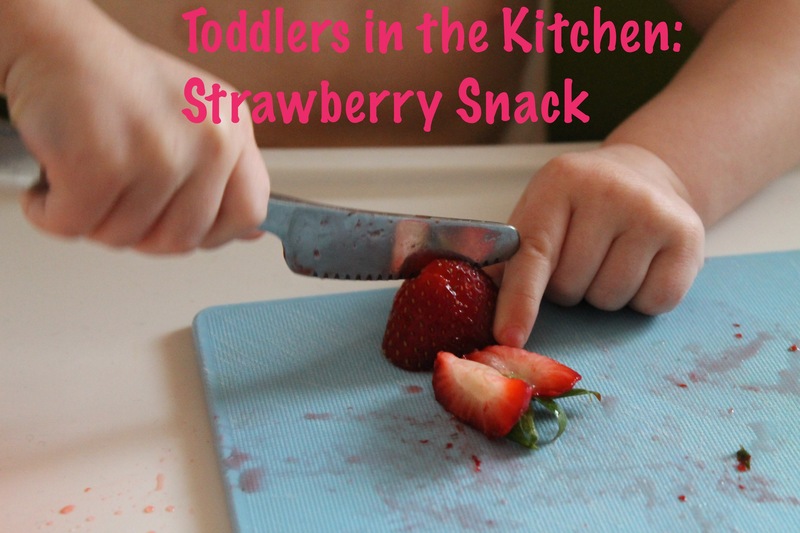 Getting your kids in the kitchen doesn’t have to take a lot of time and effort. 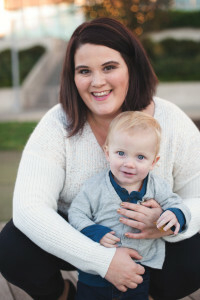 It is just about helping them to participate in any way they can. Some days for us that is just simple having Edith prepare her own snack. 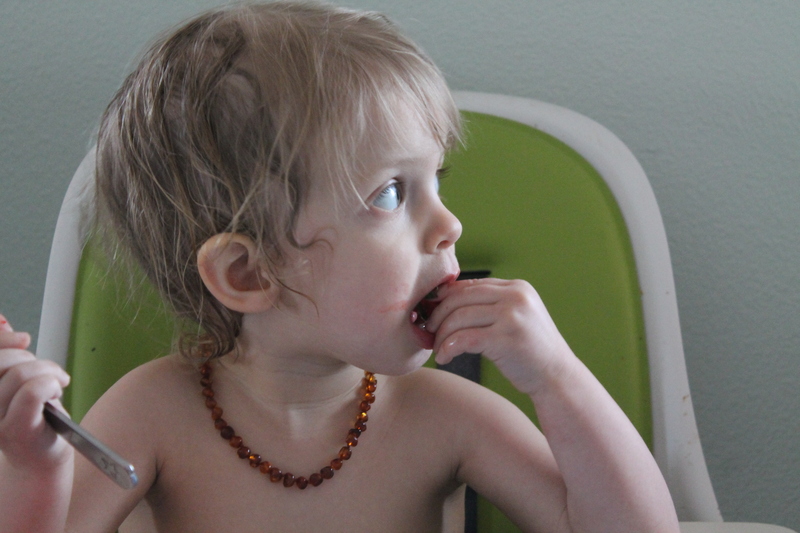 On this day post-nap snack was a big bowl of strawberries – who else is excited that Strawberry season is starting? 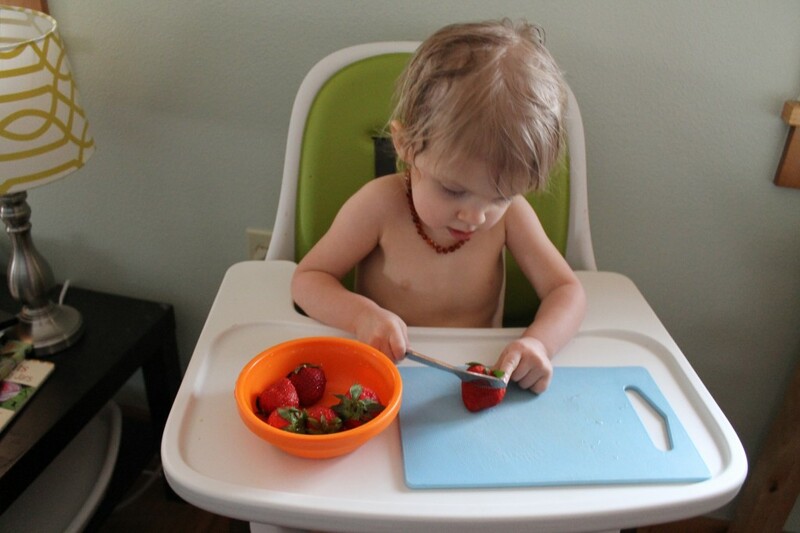 I start off my having Edith help me wash the strawberries and then I set her up somewhere either the table, her high chair or at the counter with me. 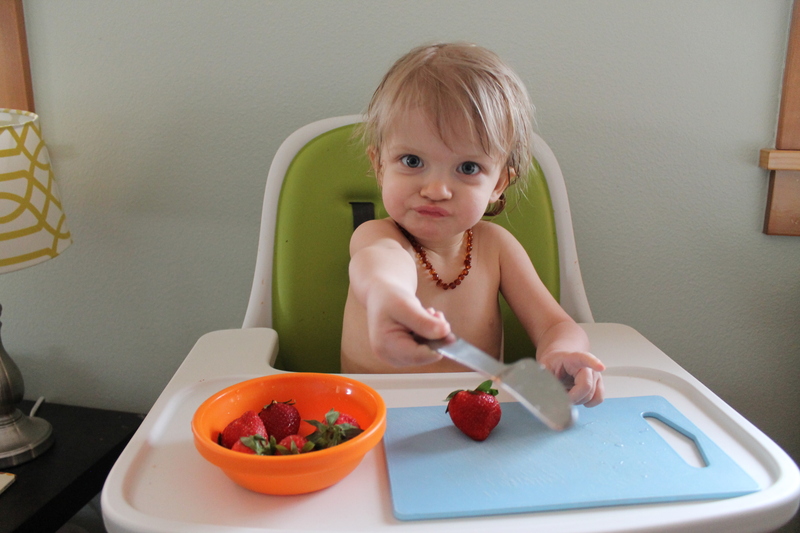 I provide her with a mini cutting board and toddler knife and sit with her as she cuts up her strawberry snack. 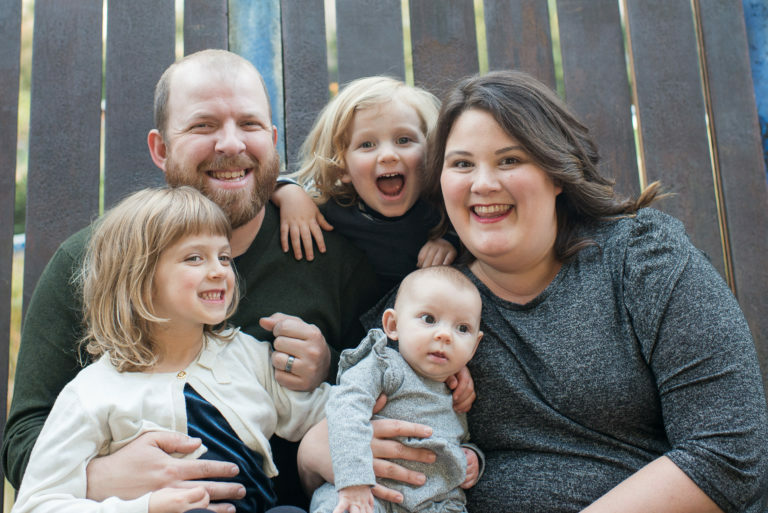 I try not to intervene except for safety reasons or unless she she requests help. 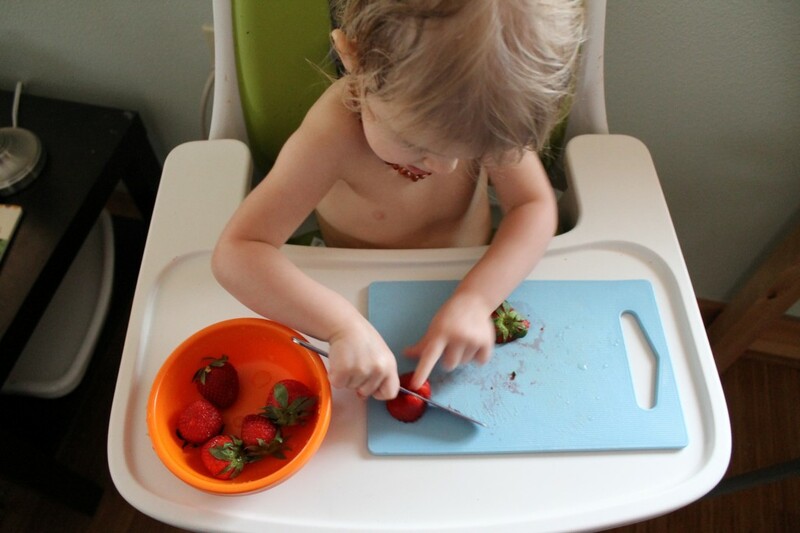 While it is quick and easy for us as adults to just chop up the strawberries it is a fun learning experience for our littles to do it on their own.